The inaugural Lake Macquarie Blues Festival will present non-stop music at two venues with over 50 musicians! 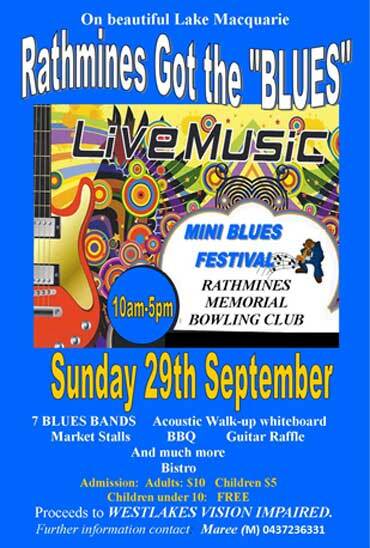 Seven blues bands, acoustic walk-up whiteboard, market stalls, BBQ, bistro, guitar raffle and much more! Proceeds to Westlakes Vision Impaired. Performers - Applications for artists have closed but there may be cancellations and there is always the white board walk-up!